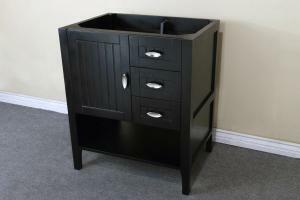 The simple design of this single sink vanity allows for great space for storage in the bathroom. 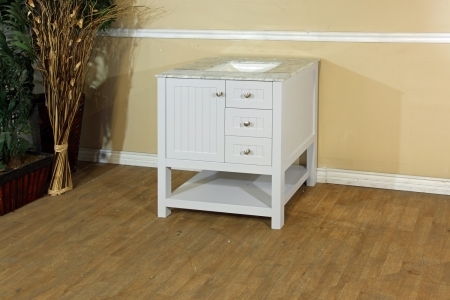 The cabinet, two drawers and open shelf on the bottom makes organizing a breeze. The white finish will go well within any dÈcor color. The hardware pulls are made of brushed nickel material.